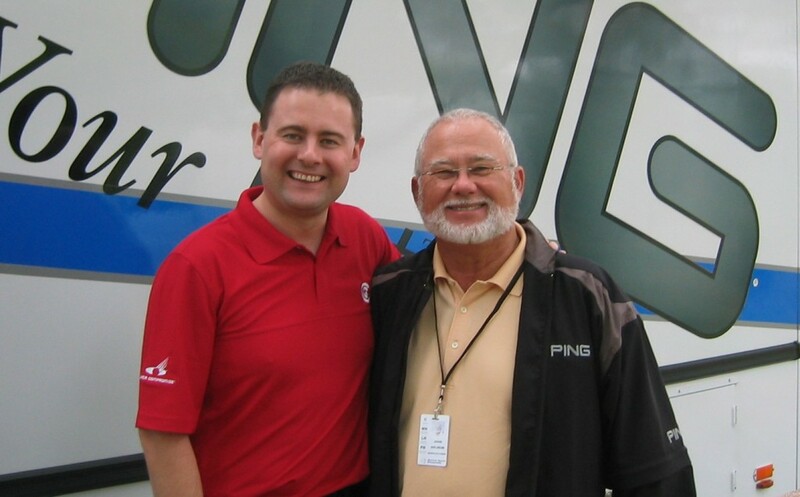 In 2002 Derek Murray and ForeGolf received the Ping Anser Gold Putter Award, for outstanding services to custom golf. There are now more than 2,300 Gold Putters in what is referred to as “The Gold Putter Vault”. What began as a way of saying thank you has grown into perhaps the most valuable collection of putters in the world. In the 1970s, Karsten Solheim was looking for a unique way to thank and reward the professionals for using a Ping Putter en route to victory. He decided to commemorate each victory by creating two gold-plated replicas of the winning putter. One he gave to the champions, the other he kept at the company’s Phoenix, Arizona headquarters. Both were engraved with the professional’s name and the name of the tournament he or she won. As more professionals continued to win with Ping Putters, his collection quickly grew, requiring several moves into increasingly larger rooms. Derek is one of only a few people in the world, who haven’t won a golf tournament, but who have been awarded a Gold Putter. Take a look at the video from Ping explaining how The Gold Putter Vault started.